Today is Super Bowl Sunday – even in Europe we know that. So even though I strongly believe football is a sport where the player kick the ball rather than using the hands all the time I have to do a post on the topic. New Orleans will be hosting the match between San Francisco 49’ers and Baltimore Ravens. This is basically a version of the broken window fallacy and in the same way it is hard to argue that the hurricane Sandy was good news for the US economy in the same way it is hard to get very excited about the economic impact of Super Bowl XLVII. This article employs the public choice perspective to explain and evaluate the outcomes of publicly subsidized economic development projects. Despite the questionable impacts of economic development projects that have been assisted with the use of public subsidies (including tax remission, tax credits, and nontax incentives), such subsidies have increasingly become the tools with which states compete for various industries and, more recently, for stadiums. Invoking the public choice framework provides some insights into the interrelationship of the various actors involved in these projects — the investors, the public officials, and the taxpayers. A behavioral model is developed based on assumptions derived from basic economic principles and applied to the political marketplace. The model is then tested using case studies of public subsidization that involved three football stadiums. The Super Bowl is America‟s premier sporting event. This paper details basic economic facts about the game as examines the controversy surrounding the purported economic impact of the game on host communities. While the league and sports boosters claim that the game brings up to a $500 million economic impact to host cities, a review of the literature suggests that the true economic impact is a fraction of this amount. Anyway, that is my two cents on the Super Bowl. Enjoy the game – I will probably not stay up to watch it and I will certainly not think too much more about the economic impact of the game. To my American readers. This guy is a football player (and he was even playing in the US at the time when the picture was taken). I wonder if the brain damage so many American youths suffer in the foolish game (likely including myself 😛 ) might have something to do with the popularity of this myth. JP, the brain damage has spread to Europe. I am very sure that a whole lot of my colleagues will come to work very early to morning without having slept much because they have been up watching the game. 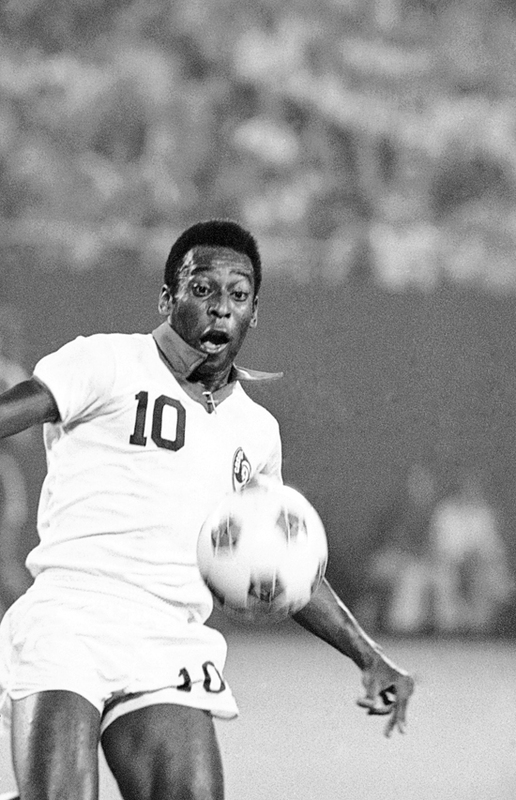 Nice Pele picture. But so as not to confuse the yanks, he was a soccer player! thnx for recommending the paper. We had a lot of these controversies regarding sports and sport events funding last few years in croatia, so it will be an interesting topic for me. Now, generalize to the case of Brazil who will be holding the World (Soccer) Cup in 2014 and the Olympics in 2016. I am willing to bet that the net effect will be strongly negative. (Except, of course, for some politittians and other corrupt officials).